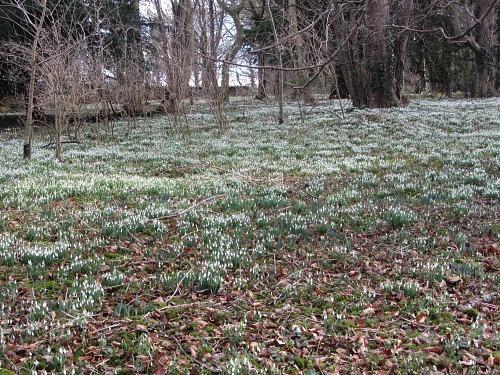 the incredible carpets of snowdrops that appear every February. 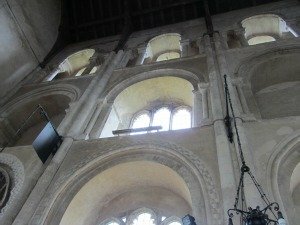 Below is the magnificent view of the east window which is all that’s left of this Augustinian Priory of the Annunciation of the Blesses Virgin Mary, founded in 1153. 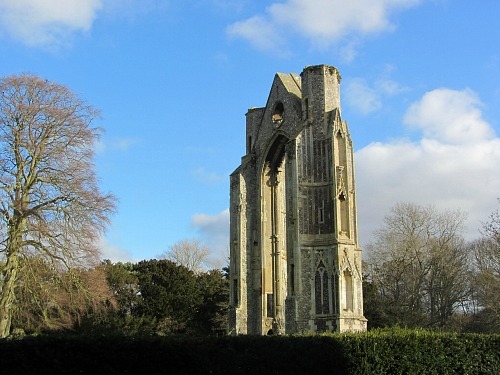 It’s pretty inspiring how the remains continue to stand alone, and in the grounds of this priory are a few other remaining relics; the refectory and the west tower, two wells and a bath as well as the crypt. The east window alone doesn’t do justice to quite how impressively big Walsingham Priory would have been, but standing in the refectory ruins (as seen here in the photo below), and looking towards the east window, you do actually get a very good feel for quite how large it was. 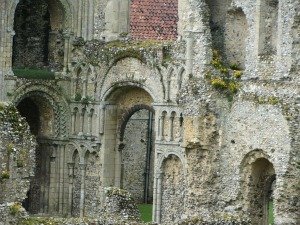 The history of Walsingham Priory dates back to the 11th Century, similar to the other priories in Norfolk. 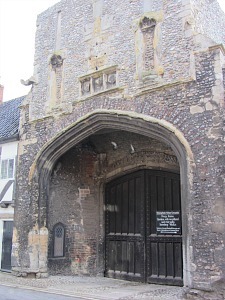 In 1061 a Saxon woman had a vision that she’d seen the Virgin Mary here. 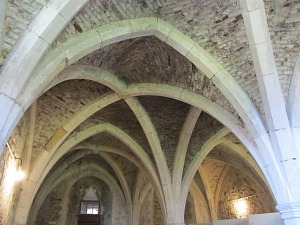 A wooden replica of the Holy Family in Nazareth was consequently built – and then the Priory was founded. 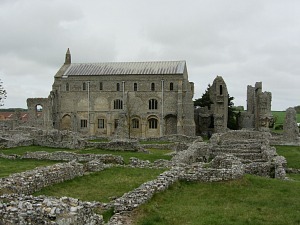 Unfortunately both the Shrine and the Priory were destroyed during the dissolution in Henry VIII's time (as per Binham Priory, Wymondham Abbey and Castle Acre Priory). 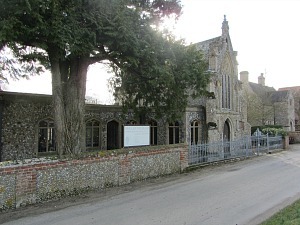 Walsingham Abbey (for information) is the privately owned large house adjacent to the Priory ruins. 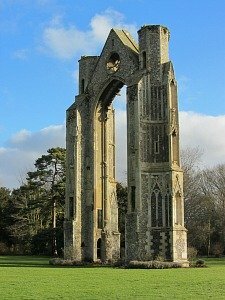 Walsingham village is often known as “England’s Nazareth” and is famed throughout the world for its pilgrimages to the Holy Shrines, both by the Anglicans and the Roman Catholics. The first pilgrimage dates back to 1897 when Pope Leo XIII blessed the new statue of Our Lady of Walsingham which had been sent from Rome, and on the following day the pilgrimage took place to the Slipper Chapel (which is now a mile away in the village of Houghton St Giles), and they committed to do this every year. 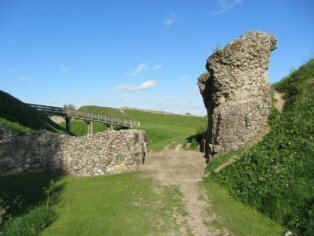 There is a circular walk that takes in part of the route that these pilgrims walk, which you can read about here. 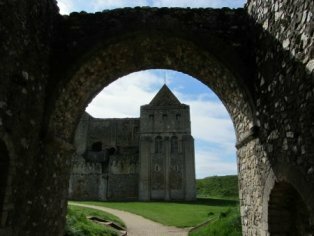 The pilgrimage was restarted back in 19th Century and has continued to take place ever since, usually on the May bank holiday and in the summer months. The shrines are what the pilgrims come to see every year. 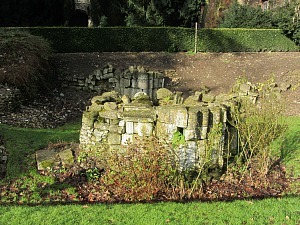 There are 2 shrines here, the Anglican one which has its own modern building in the village and the Roman Catholic one in the Slipper Chapel at Houghton St Giles. Slipper Chapel is the last stage of the pilgrims route to Walsingham and this is where it’s believed they walked bare-foot from here to Walsingham. However, I chose not to do this when I went on the circular walk as I didn’t think it would have been terribly comfortable (!) and I also deviated from the route the pilgrims take to Walsingham and had a lovely amble up on to the west valley of the village with amazing views over the Norfolk countryside. 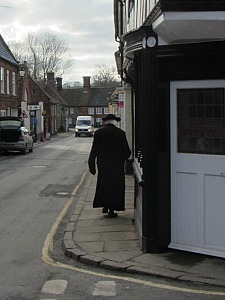 I always find when I visit Walsingham that a general sense of religious peace remains throughout this ancient village. I find it has a strange atmosphere, but that may just be me! 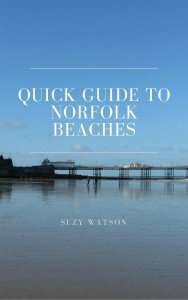 It has a whole host of attractive timbered historical houses as well as the notable Norman Gatehouse which was the original entrance to the abbey, and is still used on special occasions. Religion is still very much an important aspect of the village, with the Shrine shop in a prominent position, another shop full of huge shrines in the window, the different faith churches including the Orthodox church, and Friars in their priestly attire. It does also have a lovely cosy pub (excellent for a decent pub lunch), a hotel, and a couple of tea rooms and numerous bed and breakfasts if you want to stay here. And the historical 16th century pumphouse still remains in the middle of the village surrounded by these incredible houses. 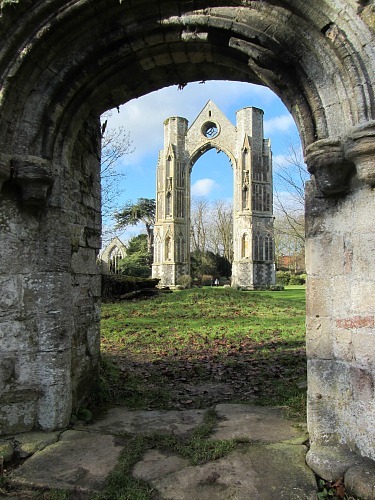 For the month of February, this is one of the real draws to Walsingham Priory and something definitely worth visiting. 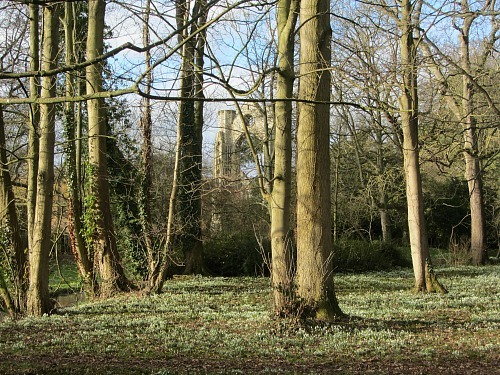 Carpets of snowdrops cover much of the 18 acres of woodland that surround this inspiring Priory ruin. 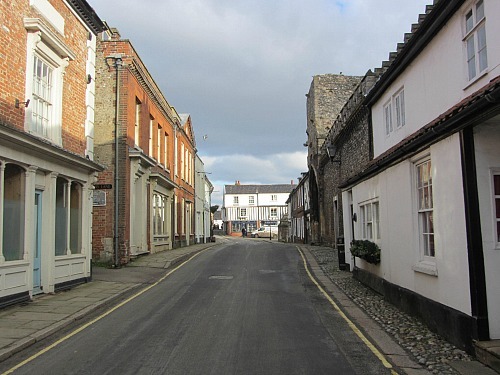 To enter the grounds you need to pass through the entrance of what was the Shirehall in the village square. After you’ve paid, look straight ahead and you’ll see the old courtroom. Your entrance fee pays for you to wander in here. Sit in the Judge’s chair and see what it feels like to pass sentence! 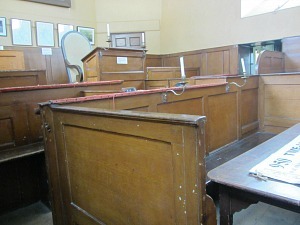 Amazingly, this court room was used until as late as 1971. There are also some interesting displays of artefacts and photos in a couple of other rooms. 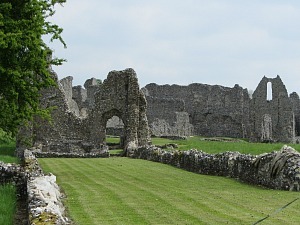 As you exit out of the building, you come face to face with the remains of the stunning east window of the Priory. The grounds here are really lovely. 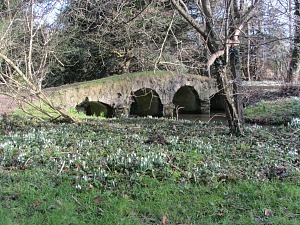 Following the well-trodden paths, you can wander around the Priory remains, amble over the ancient Packhorse bridge, meander through the wood and under the Dell Gate into the dell to see the swathes of snowdrops. They are a fantastic sight to see, going as far as the eye can see. 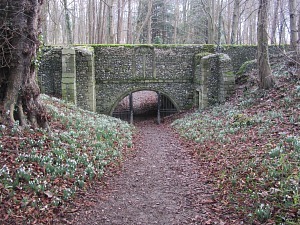 Everywhere you look you’ll see snowdrops! 18 acres of them! 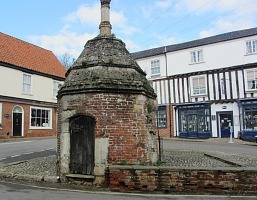 Once out of the dell, walk by the very pretty River Stiffkey, on past the main private house to your right (the Abbey) and head towards the large village church in front of you. Once at the church you can take a very short (and I mean short!) 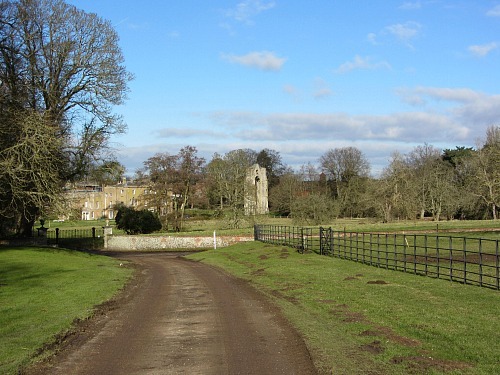 circular walk over the river and back towards the priory ruin by the wildflower meadow. 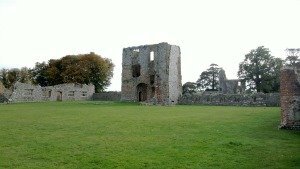 It’s a real pleasure to walk here, in the peace and quiet of the ruins. It’s a very serene place, and you get a feeling of complete relaxation, whether it’s to do with being in the grounds of a religious building or whether it’s just the beautiful surroundings, I know not! 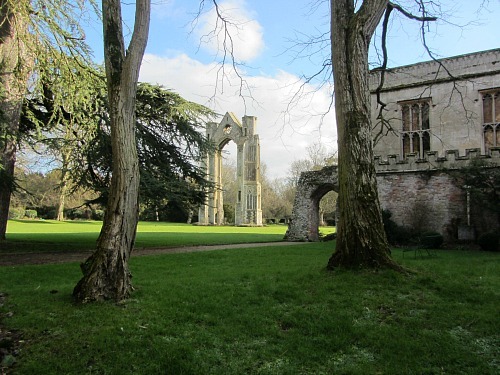 But I urge you to come and take some time out of your busy schedule and enjoy this peaceful place whilst it's open (Nov-Jan and weekdays in March). 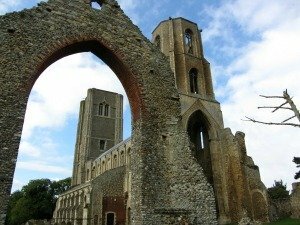 You can visit the Walsingham Priory website here for more details of their opening hours as it is fairly restricted so make sure you check before going.